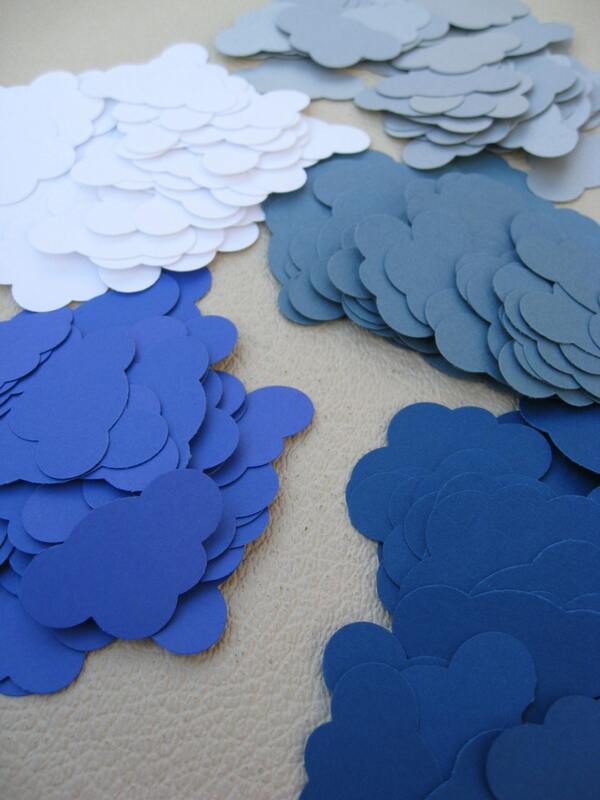 These cute little clouds are the perfect thing for any project or any special occasion. 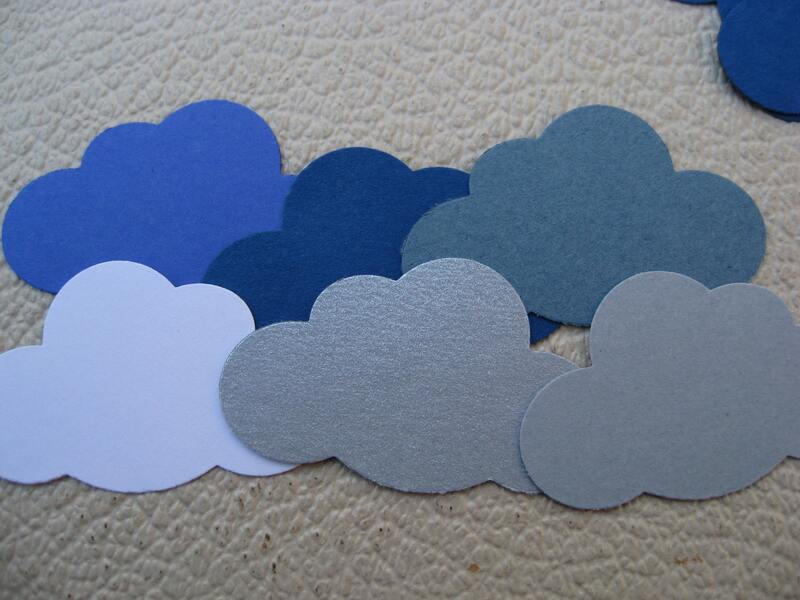 Cut from a nice cardstock, this listing is for 1000 clouds. Each cloud measures just over 1 1/2 inches wide and 3/4 of an inch high. 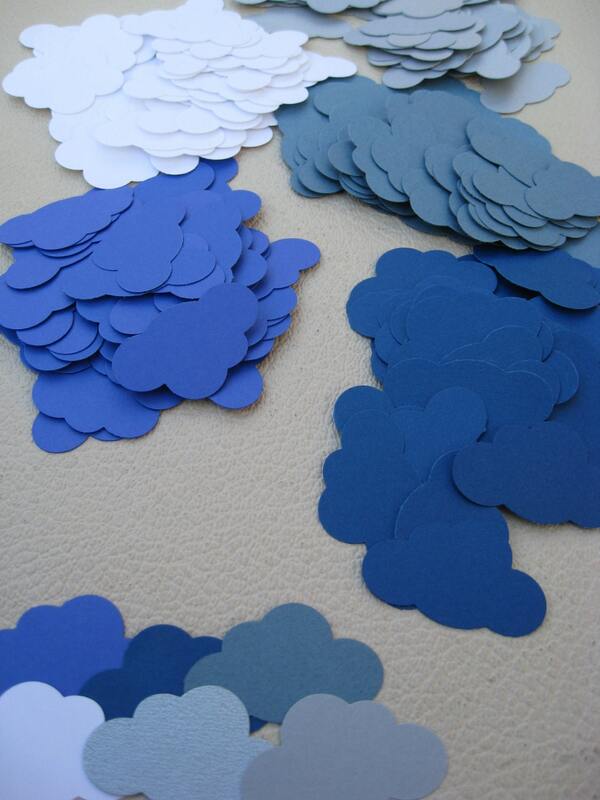 Use them for scrapbooking decoration, for confetti for a party or wedding, or to decorate the walls of a room! The options are endless! IF YOU WOULD LIKE DIFFERENT COLORS, PLEASE LEAVE ME A NOTE AT CHECKOUT!